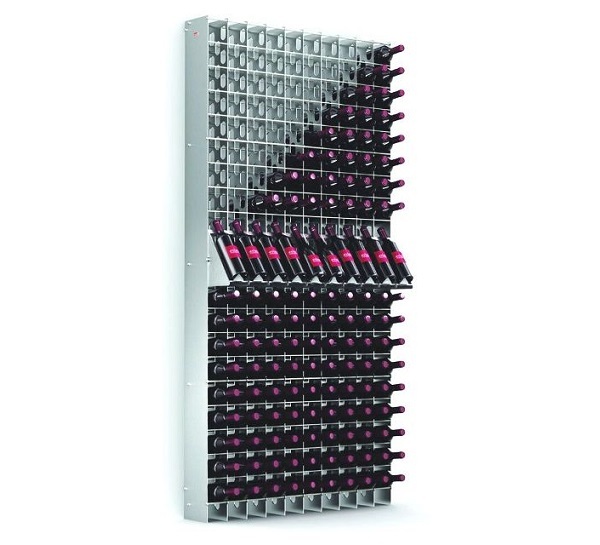 Esigo 2 Net, the steel wine rack with an extensive container capacity and a neat and contemporary design. The capacity of 55-200 bottles per 1 metre wide module optimises space. It turns your storeroom into a retail space: to display the bottles on the front, we have designed individual steel wine bottle display units, a powerful retail tool to furnish wine bars, wine shops, wineries tasting rooms and retail shops. It is a highly appreciated solution for private and professional wine cellars, and can be used as a compact and capacious wall-mounting steel wine rack.